This is what I would like to call psudo-theory, and is a mixture of found theory and original ideas… The following essay is both part theoretical discussion and film review. Stiegler states we as humans are defined as prosthetic beings, Stiegler explains "A prosthesis does not supplement something, does not replace what would have been there before it and would have been lost: it is added” (Stiegler, 1998, 152) and argues that the body can only function when it has its tools. “All fixed, fast-frozen relations are swept away, all new formed ones become antiquated before they can ossify. All that is solid melts into air” (Marx and Engels, 1992, p6). From this translation Marx is referring to the inevitable downfall of the capitalist system. This has become more relevant today within a sublimation of social products and the abstraction of capital from labor, in this information age, new technologies of computer mediated communication, network society, are apparently revolutionizing production. However the translation is misinterpreted and should read as ‘everything standing turns into steam’ referring to the steam train and locomotive revolution. The term prostheses conjures ideas of medical technologies to replace missing limbs or help with damaged parts of our anatomy, but we neglect to realize the amount of prosthetics which surround us, aiding us, within our daily lives. A prosthesis is anything that is not originally part of a biological body, a device internally or externally used to replace or substitute a defective part of the original body. However Bernard Stiegler proposes an alternative definition “The prosthesis is not a mere extension of the human body; it is the constitution of this body qua ‘human’” (Stiegler, 1998: 152-153). Stiegler is adamant to the fact that the body can only function when it has its tools. Throughout this essay I will be discussing the role of prostheses in relation to the perils of cyber capital and the character of Eric Packer, exploring his struggle to escape from the societal emphasis and construction that is reliant on digital technologies for the administration of his daily life, within David Cronenberg’s Cosmopolis (2012), using developed theories from Paul Virilio, Hardt and Negri and Eiko Ikegami. The new millennium has seen extraordinary growth of virtual and digital technologies. Marx provides warning to the idealities of capitalist consumption “All that is solid melts into air” (Marx and Engels, 1992: 6). Feeding our desires and shadowing our greed for such delicious fruits, consumer goods, our evolution as a western society has fallen victim to this crutch, from the 80s with plastic money and credit cards, to now, where control of privet funds can be virtualized and traded via cyberspace. Technologies are altering our human interactions, such as the rise of social-networks, from the birth of the blogger to the tweetosphere, confining us to screens and keypads be them desktop or mobile devices. Greek mythology recounts the story of Prometheus, creator of man from clay, Prometheus stole from Zeus the secrets of creation and gave man fire, the means of invention, aiding to man’s evolution and civilization, for stealing from the gods Prometheus was punished with eternal torment; though considered a champion of humanity he held a responsibility to his creation, but can we hold responsibility to ours? This ethical dilemma of responsibility is explored in works of fiction, from Mary Shelley’s ‘Frankenstein’ (1818), Edward Bulwer-Lytton ‘Vril: The power of the Coming Race’ (1871) and H.G Wells ‘The Time Machine’ (1895) all have explored questions or philosophy of responsibility in conjunction to the use of technology as a tool to benefit man. David Cronenberg’s ability to simultaneously evoke beauty and disgust within his characters and narratives helps question the very ethics of our society. “Thematically, Cronenberg films are about subjective interpretations of reality that are seen as (or becoming) objectively real” (Mathijs, 2008: 6). Cronenberg shows this in his films, through scientific or virtual technologies, therapeutic techniques, the portrayal of sexuality and desire and social or mediated gadgetry. Cronenberg’s films question cultural boundaries and ethical dilemmas of technologies injunctive evolution upon humans. Cosmopolis (2002) questions the very ethics of the corporate consumer conglomerates, which rule the world of fanatical capitalism, and what Eiko Ikegami refers to as cyber-financial globalization. Cosmopolis (2002) charts a day in the life of asset manager Eric Packer (Robert Patterson) who is riding across a gridlocked Manhattan to get a haircut. Civil riots, the arrival of the US president as well as a Sufi rap artist’s funeral and a possible assassination attempt upon his life, spirals Packer’s day out of control. The 28-year-old billionaire Packer has over-borrowed ludicrous figures in the Chinese currency the Yuan triggering the collapse of not only his own empire but also the world’s economy. Eric Packer does not trade because of ethics, he has become so accustomed to not feeling any repercussions due to his prosthesis lifestyle, and he does this because he likes the sound of the Chinese currency the Yuan, better than the dollar, this is the first indication showing us he has no measure of effects, he will not learn because he has had no implication of danger within his very sheltered lifestyle. BOT is short for ‘Balance of Trading’. “A child in any western milieu is surrounded by an abstract explicit visual technology of uniform time and uniform continuous space in which ‘cause’ is efficient and sequential, and things move and happen on single plains and in successive order.” (McLuhan, 1962:19). Eric Packer has become formally accustomed to technologies movements, Packer even states, “why am I seeing things which haven’t happened yet” (Cosmopolis, 2012). Packer moves in efficient cause with the technology which surrounds him, doing things for him, he has become accustomed to repeating routines, he privileges himself with technologies living in a virtual capsule, he has become one with the technology at his fingertips. our capacities are technologically enhanced and not the result of our natural bodily capacities leads to both latent and manifest forms of ambivalence” (Sobchack, 2004: 171). Packer is dependant to technology to manage his capital and empire, he respects the autonomous nature of digital programs, more than his human guidance and technicians; he has allowed the computers, CPU’s and mainframe’s to audit his capital, leaving himself vulnerable to surrogate human labor for virtual and digital labor. Hardt and Negri warn, “A parasite that saps the strength of its host, however, can endanger its own existence. The functioning of imperial power is ineluctably linked to its decline.” (Hardt and Negri, 2000: 361). Packer is losing thousands by the second, millions by the minute and billions within hours, this is due to his over borrowing of the Chinese currency the Yuan. Packer cannot see the fatal flaw within his BOT programming software that calculates the market. At the beginning of the film, Packer’s chief of technology makes clear that there are no rouge programs and that all their systems are buffered from attack. However, latter Benno a disgruntled employee (played by Paul Giamatti) points out, that the programming within the BOT was too balanced and symmetrical, not accounting the lopsided movements of the market – the programming is flawed. Cronenberg portrays Packer as dependent upon his technology to support his life and empire, which is his ultimate downfall, an inner flaw. “The trade and circulation of tremendous amounts of capital at cyber speed in virtual space has dramatically transformed perceptions in time and space with regards to economic transactions” (Ikegami, 1999: 889). Packer’s chief in theory explains the pitfalls of cyber capital: how time has become a corporate asset, replacing labor. “The glow of the screens, radiant and seductive, does it ever stop or slow down, no, why should it, its fantastic” (Cosmopolis, 2012). Ikegami. E. (1999) ‘Democracy in an Age of Cyber-Financial Globalization: Time, Space, and Embeddedness from an Asian Perspective’. Ikegami’s essay portrays a deep insight into cyber financial globalization in relation to the role of liberal democracy in prevention of the universal global market from dominating social relations in non-western societies. Virilio. P. (1994) ‘The Vision Machine’ British Film Institute: BFI, p66-67. Mark Rothko: an abstract expressionist painter, the chapel was built in (1971) Huston Texas, the painter committed suicide before its completion. Marcel Proust an early 20th century French writer, decided to line the walls of his bedroom with cork to block out any sound from the outside world, as well as harmful dust, Proust felt this helped him write in complete peace. Packer refers to this while describing his limousine as being ‘Prousted’. http://www.dhalgren.com/Doom/ch11.html (2013) ‘Doom Patrols’ Shaviro. S.
Professor Eiko Ikegami in her essays on cyber-financial globalisation describes the short-term mentality of fund managers and the securitization of quality investments and how this led to the Asian financial crisis of 1997-1998, due to Asian markets borrowing and investing more from America, ultimately leading to a crash within their market. Packer is in the same situation. He has a capital problem within the market, from over borrowing the Yuan, which as a result is now consuming him, the cyber-virtual speed of which this moves at is greater than the human capacity to process, Paul Virilio describes this as. The three tenses of decisive action, past, present and future, have been surreptitiously replaced by two tenses, real time and delayed time, the future having disappeared meanwhile in computer programming, and on the other hand, in the corruption of this so-called 'real' time which simultaneously contains both a bit of the present and a bit of the immediate future. (Virilio, 1994: 66-67). Packer is now unable to contain the problem, which has gone beyond human control. The damage has already been done, though the outcome is not yet entirely visibly or tangible, but is certain and inevitable. 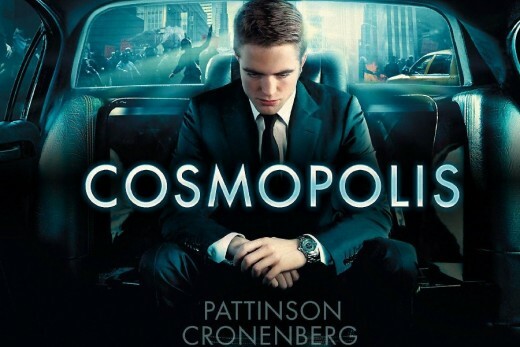 Cosmopolis is a society of spectacular consumption of useless commodities. Packer is described as creating things ‘stupendous and awful’. Packer’s capital is worth billions and spread globally, he can own anything he wants, demonstrated in a scene where he debates buying the Rothko Chapel. When his mistress informs him that the chapel is not for sale and that the chapel belongs to the world, Packer argues “its mine if I buy it”. Packer believes that his capital, his billions, are untouchable, but he is mistaken. His assets are all intangible and subject to market fluctuations outside of his control. Packer’s capital does not belong solely to him but to the world, Packer has become his own rouge program. The Limousine is Packer’s personal bulletproofed cork lined or prousted mobile office. Packer sits upon his throne with built in touch-screen panels at his fingertips, the automobile is fitted with state of the art medical technology, screens from which he can monitor his empire, a mini bar and a toilet, all hidden away in smooth compartments within the seating; the vehicle is fully self contained. “Thanks to green-screen, we are distractedly aware of Manhattan slowly, soundlessly scrolling by outside the windows, as if not actually seen but brought to Eric by live transmission from light years away.” (Nick James, July 2012). This green-screen effect is very surreal at times, as if the depth-of-field or distance from car to pavement are not calibrated correctly. 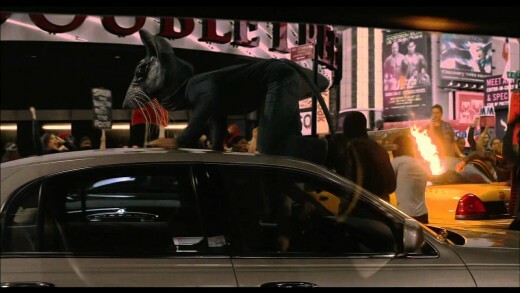 This is most noticeably in the riot scene, when the car is shook and hideously mutilated by rioters who vandalize the limousine’s exterior, Packer and his fellow travelers are seemingly oblivious to the events happening beyond the windows, as if they were watching events on a live news broadcast of downtown. Packer can digitally control the opacity level of the windows from his control panel, a device which seems also to blur the line between reality and virtuality; he can choose to be invisible, just another white limousine roaming the city. 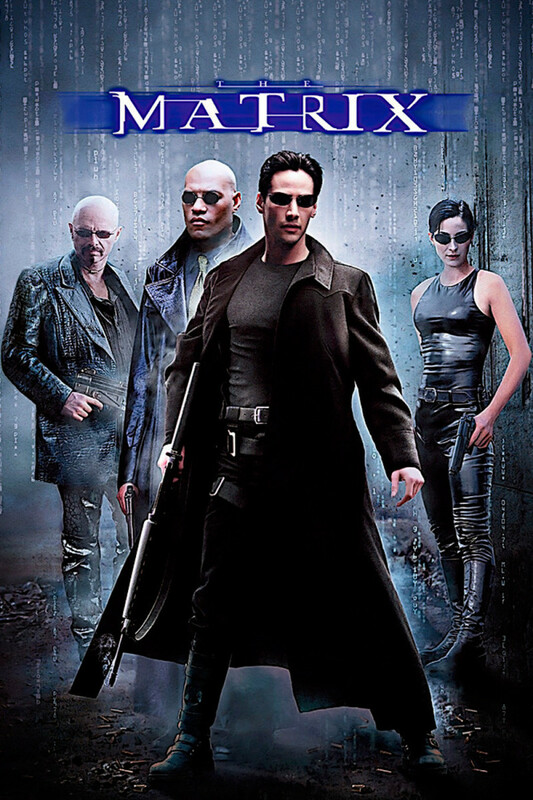 Though green-screen effects are common practice within filmmaking today, Cronenberg has deliberately used this technique, to create the feeling of a surreal passage through a virtual or cyber city. Unlike Cronenberg’s other films where radical things happen physically to a body, in Cosmopolis (2012) the limousine is Packers cocoon, Steven Shaviro states in Doom Patrols. Radical becomings take place routinely in their own lives. This is especially so in groups that pass through pupal metamorphosis. Their bodies are broken down and completely rebuilt in the course of transmutation from the larval to the mature stage. (Shaviro, 2013). Throughout the course of Packers day he has changed from the dead pan, almost emotionless being to a new stage of being, his journey has mutated his consciousness and emotions. Using biologist Donald I. Williamsons argument, Shaviro claims, “that larval stages are remnants of symbiotic mergers between formerly independent organisms”(Shaviro, 2013). 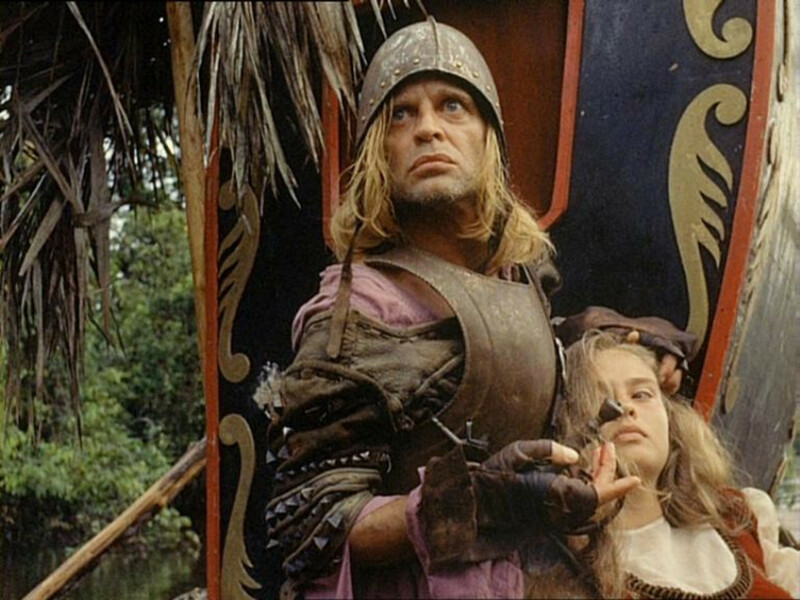 By the end of Packer’s journey he has let go of all of his technological aids and has become free and alone, for the first time within the film, he has become independent. However, unlike an insect which has just cast off its shell, Packer’s awareness of his previous life makes him vulnerable in the closing scenes of the film, he still naively believes he has the powers of the technology he has just discarded. This reflects Max Renn from Videodrome (1983) Packer still lives with what Cronenberg describes as the new flesh; he still believes he has the powers of the technology he has just discarded. ‘Market of Speculation’ is when someone believes a stock or commodity is going to go up, without basing that on any technical or fundamental analysis other than opinion. Ikegami. E. (1999) ‘Democracy in an Age of Cyber-Financial Globalization: Time, Space, and Embeddedness from an Asian Perspective’. Stiegler. B. (1998) ‘Technics and Time 1: the fault of Epimetheus’. p198-199. Stigler’s argument is that the origin of the human is to not found in biology or transcendence, rather in its relation to the living and non-living, the exterior, the use of tools, therefore disregarding genetic evolution to that of technological evolution. In reference to a short story ‘Burning Chrome’. Gibson. W. (1995) ‘Burning Chrome’ p195. Hardt and Negri contend, “Habits are living practice, the site of creation and invention. If we look at habits from an individual standpoint. Our power to change may appear small, but as we said habits are not really formed or performed individually” (Hardt and Negri, 2004, 198). Shaviro argues that mammals unlike insects find it hard to change habits; once Packer finally breaks free, after all he has endured and lost within a day, Packer has embarked from his limo-cocoon as a virtual version of himself, now striped from the technological prostheses which surrounded him, and without the responsibility of his previous habits, he has merged into the virtual, as if roaming the streets of Manhattan as an avatar of himself. Packer finds it hard to fully break away from the technology, which comforted him, thus blurring his perception of real and unreal. In Cronenberg’s films “Psycho-physiological changes are continually occurring, at a rate that exceeds our ability to assimilate or understand them.”(Massumi, 1993: 126). Packer’s inexperience of freedom from his prosthetic lifestyle, renders him unaware of physical consequences such as the murder of his bodyguard, for up until then, all responsibility was automated for him, he was removed from the reality of his actions. However unlike Cronenberg’s other films such as Videodrome (1983) and The Fly (1986) Cosmopolis is not about a physical change but a virtual change in relationship, cyber flesh has corrupted Packer internally not externally, as in Videodrome (1983) with the new flesh as Cronenberg phrases it. Exposition within the dialogue is cryptic and almost encrypted at times, such as Packer’s decline of capital throughout the day, perfectly understated by Robert Patterson, Packer’s realization of what is happening is never understood fully until the closing frames, when we see him shed a single tear, showing Packer is human after all and not a cyborg or virtual entity. Packer had to detach himself from all his prosthesis to finally become fully human, Packer ends cyber capitalism in one day, whether by default or not, he has, singlehandedly, reduced the virtual globalization of capital and the market of speculation to nothingness. Mortals, because they are prosthetic in their very being, are self-destructive. Hence prostheses, when visible, frighten or fascinate, as marks of morality – There is nothing but Prosthesis – and because they are frightening there visibility is reduced – this primordial idiocy, source of finite singularity and freedom as a result of which it is possible to act and possible for something to occur, to take place. To have a past is to be fallible: nothing can happen to the infallible; no difference can affect it. (Stiegler, 1998:198-199). Stiegler appraises Prometheus; one could say Packer has become a champion to humanity, a beacon of hope for the future. However like Prometheus, Packer must account for his sins, not the sin’s of destruction but of his over indulgent lifestyle. Packer’s body may die but his soul will live on, through the memory, and recorded movements of his digital fingerprint, and recorded media, immortalize within the world of cyber capitalism, just as Packer’s favorite Sufi rap artist ‘Brutha Fez’ will live on through his music. To conclude, unlike Cronenberg’s other films, which are much centered on the physical body, Cosmopolis (2012) considers the effects of virtuality and prosthesis as not physical but cerebral scars. Cronenberg shows us how cyberspace and virtuality have become a consensual hallucination experienced daily by billions. Packer with the loss of his virtual empire, has finally found the freedom to be himself. Packer is a figural representation of a prosthetic lifestyle taken to the extreme – he runs his Empire from within a limousine, which is able to do everything for him. Like Max Renn from Videodrome (1983) and Seth Brundle from The Fly (1986), Packer has become a victim of the technologies, which made his life possible; like his crumbling Empire, his need for prostheses consumes him from the inside out. Packer was a titan within the world of what Ikegami call’s ‘cyber-financial globalization’. Cosmopolis (2012) highlights our ignorance of financial control within cyberspace, showing how computers are now much more than calculators, used to borrow and send capital more rapidly than human capacity, machines automate the capital of the world. However this blinds the consumer to the realities of trading, feeding an appetite to play the market like a game without tangible consequence. 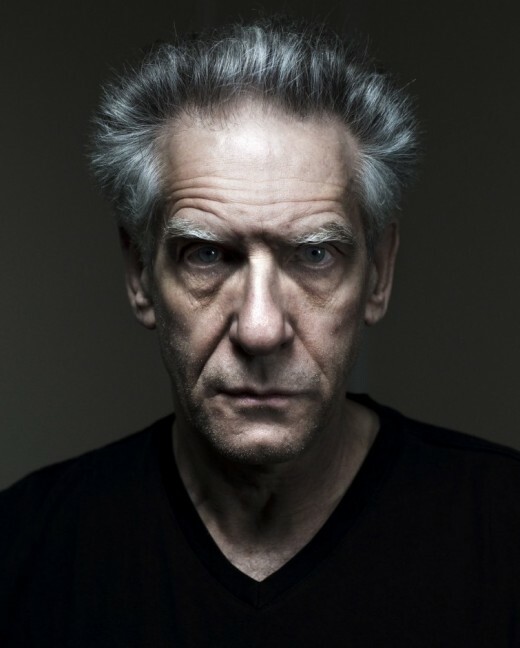 Cronenberg warns us that our humanity must come first and that the machines that work for us, providing us with leisure time, be it digital or virtual, are just tools and that, ultimately we must be held accountable for our mistakes and actions, there must be some level of human responsibility. Cosmopolis is novel by Don DeLillo, Cronenberg has adapted the material fatherly making slight changes where needed. David Cronenberg’s 'Cosmopolis' is a deep and majestic film, cryptically told with subtle dialogue and outstanding performances. Overall I give 'Cosmopolis' a 5 out of 5 stars, this really is a masterpiece. Robert Stam and Toby Miller, 2000, Film and Theory, Blackwell Publishers. Michael Hardt and Antonio Negri, 2004, Multitude war and democracy in the age of empire, The Penguin Press New York.